They are found on rocky banks, fields and shorelines. 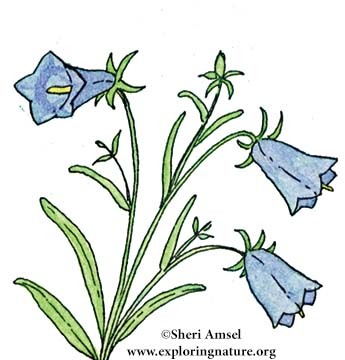 The purple flowers are bell-shaped and nodding, each on a delicate stem. They have many long, narrow leaves on the stem. Some heart-shaped leaves come from the bottom of the plant. 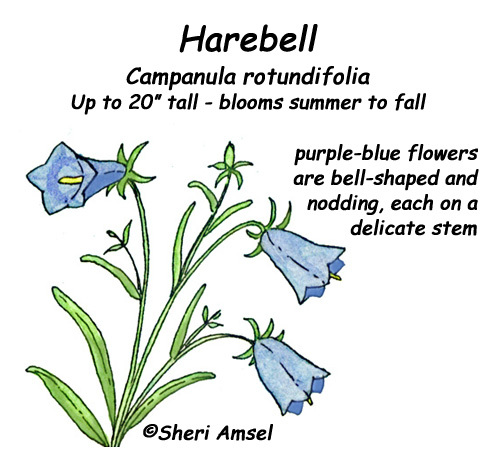 Also called, bluebell.